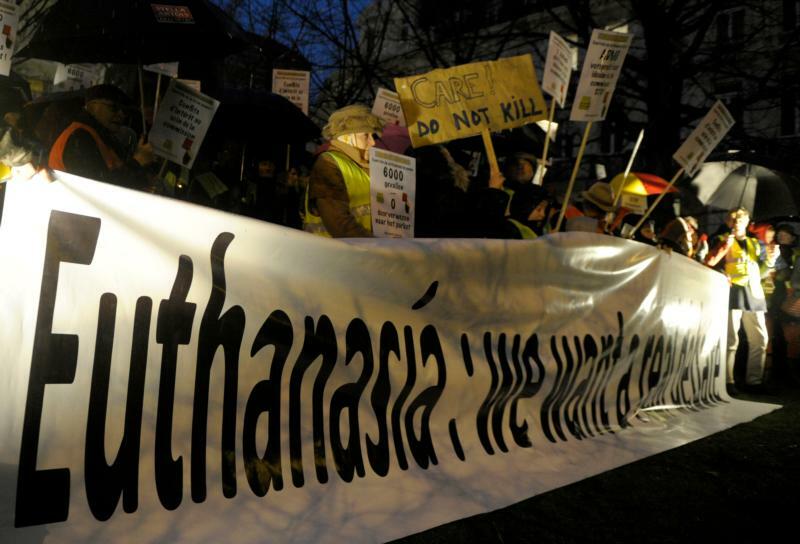 OXFORD, England (CNS) — Catholics in Belgium are concerned the country’s euthanasia law is being abused to kill patients without legal checks and safeguards. Auxiliary Bishop Jean Kockerols of Mechelen-Brussels said “not just the church’s hierarchy, but doctors and medical professionals as well” were concerned. On Jan. 9, the Belgian church’s Cathobel news agency published an article saying the Federal Euthanasia Control and Evaluation Commission violated its statutes by failing to refer suspected legal abuses for investigation. “It’s shocking that, 15 years since its creation, this commission has not referred a single file to prosecutors or condemned a single doctor,” the Catholic report said. “We’re against euthanasia in every form, and the church’s official position is well known,” he said. Euthanasia and assisted dying were legalized in traditionally Catholic Belgium in 2002, and euthanasia deaths are increasing by 27 percent annually, according to Health Ministry data. The federal euthanasia commission, headed by Dr. Wim Distelmans, a euthanasia practitioner, is required to verify that euthanasia deaths follow procedures written into the law, referring suspected violations within two months to a state prosecutor. However, in its report, Cathobel said a commission member had recently resigned when the case of a dementia patient, killed without consent, was not referred to prosecutors. It added that the commission had failed to refer complaints by the family of a 38-year autism sufferer, when she was killed by request without required documentation after ending a love affair. Bishop Kockerols said he was pleased prominent Belgians were now debating euthanasia practices, rather than resigning themselves to them. He added that public support for euthanasia remained widespread, especially in the country’s Flemish-speaking regions, but said it was important the “moral dangers” were better recognized. “Even if there’s little chance for now of legal changes, the church can work on a moral and pastoral level with medical staff and support critical voices,” the bishop said.